In what may be described as an unfortunate surfacing of an otherwise unprecedented saga, the 11th day of January 2019 witnessed the emergence of a top controversial developments to dominate the country’s socio-legal and political space. Mr Walter Onnoghen, Nigeria’s 17th Chief Justice of Nigeria became the first ever serving Chief Justice of Nigeria (CJN) to be arraigned for criminal offences before the Code of Conduct Tribunal (CCT) over alleged failure to declare his asset upon assumption of office as provided in Section 15 (1) of the Code of Conduct Bureau and Tribunal Act C15, punishable under Section 23 (2) (a) (b) and (c) of the same Act. 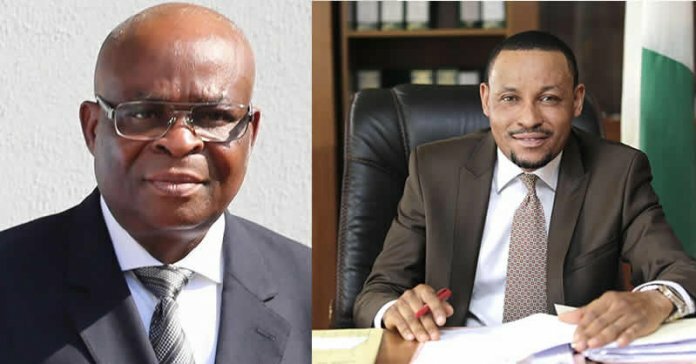 The federal government in a dated application signed by two legal practitioners- Musa Ibrahim Usman and Fatima Danjuma Ali, also prepared a motion to compel the CJN to vacate his office on the basis of a pending criminal charge against him which does not augur well with the sanctity of the bench to allow a sitting judge the privilege of being washed clean and dirty by the same law he swore to protect. On the same note, the speedy prosecution of the CJN is based on a petition filed by a civil society group identified as Anti-corruption and Research based Data Initiative. The petition signed by the group’s executive secretary, Dennis Aghanya and dated January 7, 2019, accused the CJN of operating several accounts through which he had been making transfers in local and foreign currencies in a manner that is according to them is ‘’inconsistent with financial accuracy’’. In response to points of law, Justice Onnoghen, admittedly emphasized that his “asset declaration form numbers SCN 00014 and SCN 00005 were declared on the same day in 2016 because he forgot to make a declaration of assets after the expiration of his 2005 declaration in 2009. 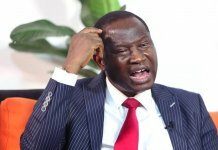 The Federal Government feeling dissatisfied with his response which they only perceived as a side wind aimed at derailing the pathway of justice, through the office of the Attorney General of the Federation and Minister of Justice, Abubarkar Malami (SAN) directed Nigeria’s Financial Intelligence Unit (NFIU) to freeze some accounts belonging to the CJN. The provisions in regard to assets declaration as they apply to all public officers including the CJN are contained in both the Constitution and the Code of Conduct Bureau and Tribunal Act 1991, the enabling law that establishes both the Code of Conduct Bureau (CCB) and the Code of Conduct Tribunal (CCT). 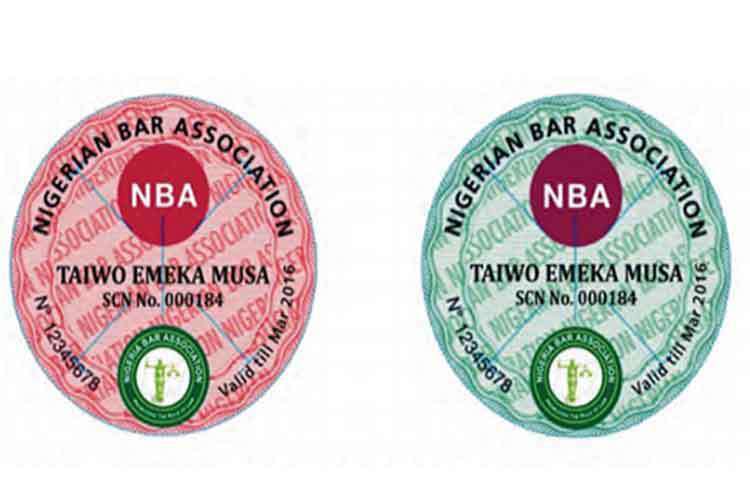 On that same note, though on a different spectrum, the Nigerian Bar Association (NBA) in a statement issued by the NBA president, Paul Usoro (SAN), condemned the move by the federal government in what it called the ‘targeted assault of the judiciary by agents of the federal government,’ symbolically labelling this as a case of executive witch hunting. This trial has interestingly made a number of headlines trailing various interpretations, cutting across divergent interests – Political affiliations, ethnic interests, professional standpoints, personal opinions, rule of law and so on. 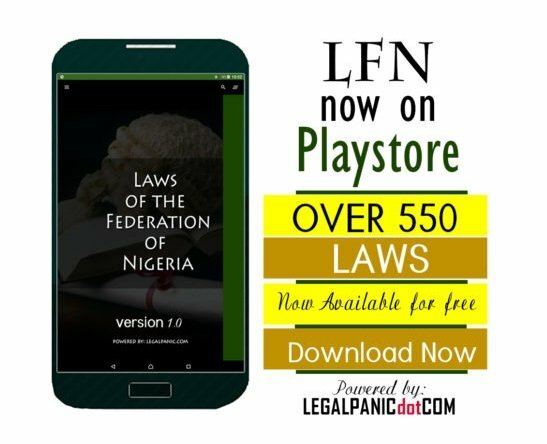 NBA, in supporting its claims that the judiciary was being hijacked purposefully and maliciously averted legal minds to the position of the law in Nganjiwa v Federal Republic of Nigeria (2018) 4 NWLR Part 1609 Page 301, where the Court of Appeal made it very clear that any misconduct attached to the office and functions of a judicial officer must first be reported to and handled by the National Judicial Council pursuant to the provisions of the law. 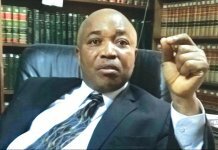 In furtherance of this, It is only after the NJC as established under Section 153 of the Constitution has made a pronouncement against such judicial officer, that the prosecuting agencies of the federal government can proceed against him. It is also for this reason in paragraphs 21(b) (d) of the Third Schedule in the constitution provides that the National Judicial Council reserves the power to exercise disciplinary control over judicial officers. Although the Appeal Court’s judgment which was delivered against the Economic and Financial Crimes Commission, was appealed by the anti-graft office to the Supreme Court, no verdict had been reached on the matter. While corroborating the NBA’s argument, Human Rights lawyer, Femi Falana, (SAN), has advised the Federal Government to urgently withdraw the charges against Onnoghen as such move will amount to prosecutorial misadventure. The first hearing in the false assets declaration suit filed against Chief Justice Walter Onnoghen was held at the Code of Conduct Tribunal in Abuja. The mode of service of the charges has been amongst the controversial aspects of this suit. However, considering the various methods and the manner at which the trial commenced with no recourse to the National Judicial Council, the gestapo styled, fast-paced judicial process against the CJN could be fairly assessed as tainted not only with political ill will but with a deliberate desire to subvert and disregard settled principles of law. Also, the severe implications of an impetuous law suit without due process seemed to have fallen dangerously short of the expected diplomacy and maturity expected of a country as purposive as Nigeria. Apart from the flagrant disregard for the law, the immediate media trial did not take into account the glaring implications of presenting a judiciary with a corrupt colouration to the unsuspecting public and the international community. Indeed, these considerations seem to veer the mind to give credence to the postulates of the NBA and other senior legal practitioners who have viewed the entire process as maliciously intended to reduce the judiciary into debacle, eliminate the confidence of the public in the dignity of the bench all in a bit to score political points. The CJN’s legal team led by Chief Wole Olanipekun(SAN) told the tribunal that the CJN has already filed a motion not just to challenge the jurisdiction of the tribunal but to also challenge the jurisdiction of the tribunal to even as much, sniff the charges the Federal Government levelled against him. This may come off as braggadocious to the ears of the unlearned but this is the position of the law. Surprisingly, the Chairman of the CCT declined on the motion.. 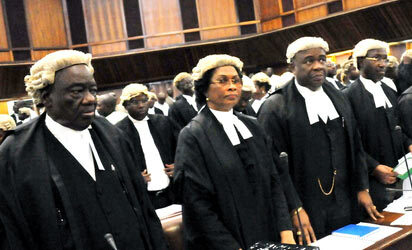 The web of controversies around this case can be unravelled by identifying a justifiable position of the law as to whether the interpretation given by the NBA is the extant position of the law or if the action of the executive arm of government find legal backing despite being construed by a sect of the populace as an act of playing politicking or a witch hunt regularity. Political murky waters was stirred when Atiku Abubakar, the presidential flag bearer of the People’s Democratic Party warned against what he described as the forceful removal of the CJN. He also faulted the CCB for moving the case to the CCT and stated that Nigerians will resist any attempt by the presidency to intimidate the judiciary. Another prominent political figure and Convener of the Pan Niger Delta Forum (PANDEF), – Chief Edwin Clark equally announced that the Niger Delta people will resist the alleged plot to remove Onnoghen and the supporting views by Nigeria begs the question on whether this is a trump card played by the ruling party in the approaching electoral games, a perceived political motive distilled from the rule of law. APC admitted that the likely affinity existing between the PDP and a section of the judiciary is further accentuated by the non appearance of Justice Onnoghen before the Code of Conduct Tribunal on Monday in line with the suggestions made by the PDP governors from the South South. It is quite a surprise and of sharp contrast to the position of NBA and Falana that the chairman of the Presidential Advisory Committee against Corruption, Prof. Itse Sagay (SAN), declared that CJN’s trial is a proof that no one is above the law, as he said Nigeria was gradually becoming a nation operating under the rule of law. His position gives credence to the assertion that no one is immune from the law but contradicts the rule of law when the process of enforcing the law is negated. Prof Itse Sagay’s view is that the CJN is not only the Chairman of the NJC, he is also the appointor of 20 out of the NJC’s 23 members. The CJN is the NJC hence only a grossly ignorant man or an extremely mischievous one could seriously suggest that a matter involving the CJN should be brought before the NJC for adjudication. In my humble opinion, the CJN, although part of the NJC, should be excluded from the panel which would be constituted to determine his guilt. A sacrosanct issue for determination in this case borders on whether the criminal offence levelled against the CJN constitutes an official misconduct to the extent of which the jurisdiction of this offence falls within the purview of the NJC or the CCT. While a judicial officer, the CJN inclusive can be removed for official misconduct, it is instructive to note that the removal of the CJN and other judicial officers is provided in section 292 of the constitution which stipulates that “A judicial officer shall not be removed from his office or appointment before his age of retirement except in certain circumstances and as provided in certain circumstances and as provided in 292(ii)(b)– removal by the President or, as the case may be, the Governor acting on the recommendation of the National Judicial Council that the judicial officer be so removed for his inability to discharge the functions of his office or appointment (whether arising from infirmity of mind or of body) or for misconduct or contravention of the Code of Conduct. Unlike other judicial officers who can be removed by the President acting upon the recommendation of the National Judicial Council, the Chief Justice of Nigeria can only be removed by the President upon receipt of an address supported by two-thirds majority of the Senate. On the basis of this clear provisions, it has become worrisome to learn that aside from laying the proposed charges, the prosecution has also filed an application seeing an order directing the CJN to resign pending the conclusion of the trial. The proviso made under section 3(d) of the CCT Act makes it mandatory on the CCB that once a statement of admission is made then the matter shall not be referred to the Tribunal and any other discretion to be exercised can only be to the Federal Judicial Service Commission (FJSC) or NJC. On the other side of the divide, one may understand that the FG has resorted to an improper chase with instruments that have been kept in the armoury for so long. This capsizes almost the rationale behind their prosecution of the CJN. It can be agreed that the speed with which the trial was commenced raises dusts which have carelessly and ceaselessly injured so many eyes. Unsuspecting masses and some members of the Bar and Bench (NBA for instance) may see this as a medium of vendetta irrespective of an invisible rule of law which might be the driver behind the wheels. The fact that the Federal Government will have to wait till now to activate the machinery of law also assists their case in a negative and reverse order. One with an objective mind will frown at the political methodology coating the suit, especially when President Muhammadu Buhari, some days ago denied having knowledge of the action. One may want to ask: if the first citizen and arrowhead is unaware of the action against Onnoghen, who then 8s the Federal Government? 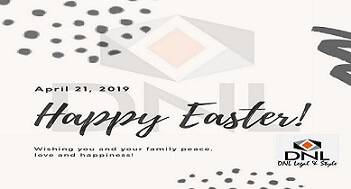 On a final note, this trial could further strain relations between the judicial and the executive arms of the federal government which had been largely tense since the raid on federal judges’s homes in October 2016. For the sake of our fragile democracy, despite the fair reasons of this administration in tackling corruption, the executive should not besmirch the judiciary. The Federal Government is a creation of the law and cannot be above the law. Buhari’s anti-graft war is losing steam because it is selective, partisan and directionless. An Abuja Division of the Federal High Court has extended the restraining order against the continuation of the trial of Nigeria’s Chief Justice, Walter Onnoghen to January 28 while the entire populace, most especially the legal community will observe the turn of proceedings in ensuring the rule of law is respected for it is the bedrock of our democracy.